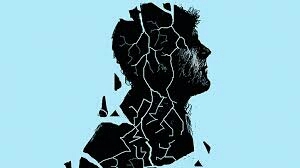 Many people rightly discuss “church hurt” and I’ve often talked about how many churches must do better in addressing and correcting toxic behaviors as to alleviate the trauma some people experience when saints are behaving badly. I really get it. 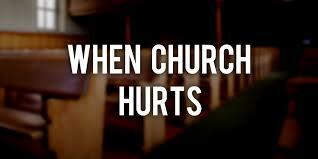 What we don’t talk about enough, though, is when “the” church hurts the pastor. We expect pastors to be superhuman or even God. When the preacher can’t be omniscient and omnipresent, then that preacher is rejected for being, well, human. And then there are those moments when members who you’ve loved, sacrificed for, leave without just cause for the sexier church down the street. And then there’s being talked about and hated just because you’re in the room. And through it all, a godly pastor lovingly longsuffers through it, but trust all these things and more can be just as (no, more than) traumatizing because it’s multiplied by the hundreds or maybe thousands. 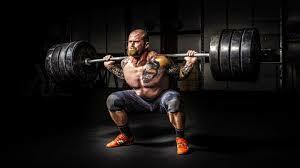 God sees what you’re going through, the weights and the pressure. You’ve been pushing but it seems like it’s been all uphill — without any rest. It’s coming together but because it seems slow, your’re unimpressed. God is saying, “Don’t stare so hard at the finish line that you lose sight of what you finish everyday.” Your progress is transforming you — you haven’t noticed but you’ve come a long way and with each step you’re more committed, more determined, and stronger. God is not working on the victory beloved, it’s already won. God is preparing you for a lifestyle of winning by showing you that every victory comes with a process. Don’t wait for the victory to celebrate your progress beloved. Carry On! Terri Whitmire is an inspirational author who currently reside in Marietta, Georgia. She lived in Washington DC for seven years but is originally from Waterbury, Connecticut. Terri earned her degree in Computer Science at the Historical North Carolina A&T State University. She began her career as a Software Engineer for MCI WorldCom Inc. and later became certified in Children’s literature. She is a member of Atlanta Writers Club, M-pact writers club and founder of Writer’s Tablet Foundation. Terri is also a Children’s Ministry Teacher and Substitute Teacher for a Charter School in Marrietta, Georgia. She and her husband are sponsors for World Vision. Abandoned by her father and neglected by her mother. Will Tara ever find someone to love? What she desires most is what her heart chases away. Breathe for me, an inspirational novel that shares one young girl path to love. Celebrate the love all over again with this special 5 years anniversary edition. This is one of those books you can’t just put down. 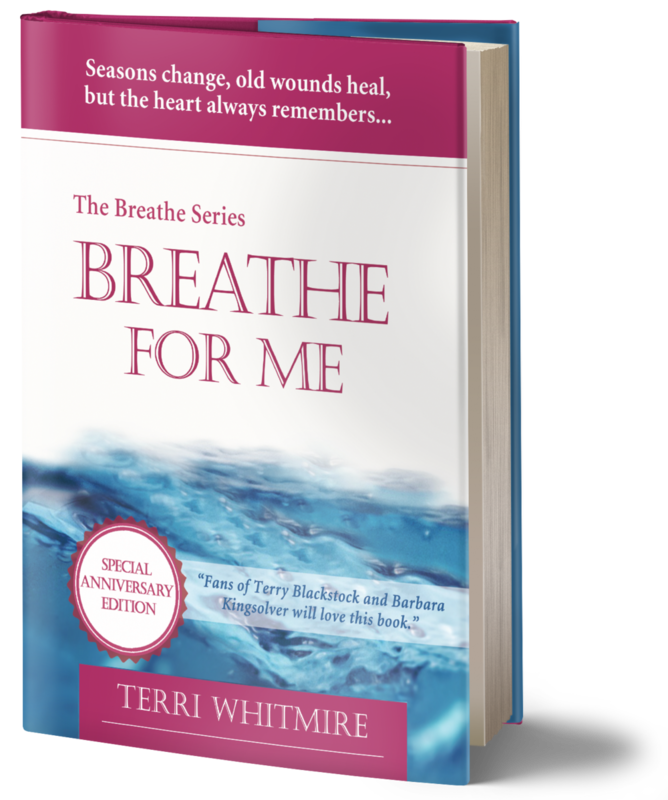 “Breathe For Me” caught my attention instantly after I saw it featured on Elder Paulette Harper’s WNL Virtual Promotion Book Tours”. “Breathe For Me” is the standard of book that will grasp on your attention in the beginning and it will takes you on a trip of the life of it’s two characters, Tara and Marcus. This narrative trip is based off joyful, happiness, and difficult seasons for Marcus, Tara and their families. While I was reading this amazing story, I found myself wanted to pray for each of the Characters during their rough times and cheering them on during their good times and moments of victory. Terri Whitmire did an awesome tasks of taking the readers into the mind of the Characters. You will really feel like you can relate with the characters personally. You will know how they felt with their strength, weakness and fears. I love the way that Terri was very descriptive about the surroundings of the Characters; wherever they were, I can draw a picture in my mind. I definitely love this whole series turn into a movie. 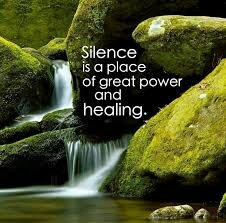 That’s how great “Breathe For Me” is. I am going to read the rest of the books in the Breathe Series. Imagine sharing the spotlight with a ruthless blackmailer whose only intention is to take all of which you worked hard to achieve – your wealth, your fame, and your Church of seven Thousand members For Pastor Leroy Paxton of Mount Moriah Baptist Church, this is no imagination. Five Years Ago he committed a toxic sin and almost lost his life trying to cover it up. He now comes face to face with his past, which haunts him from the pulpit to his bedroom. And the only way out of this nightmare is to make a decision that could cost him everything. Then imagine being mentored by one of the most revered man, Abraham Winder, whose stance on accountability and sexual purity is taught rigorously within the Mount Moriah mentoring program, only to discover your mentor is not what you expect. This is the reality for Dominic Housten, one of Abraham’s closet and trusted proteges, who accidentally stumbles upon a scene that left him frozen in disbelief. As Dominic struggles with betrayal, he confided in the pastor’s daughter the only woman, he’d secretly loved for years. The only problem with that is the pastor’s daughter is married to Phillip Benjamin, a deacon of the Church and an extremely jealous man, who suspects Dominic intention runs deeper than just a casual friendship. The intertwined lives of these four men show that the tighteous are not perfect, and at times are tempted to forsake the ways of God. As each of these men battle to regain their focus, they will come to realize that the consequences of their sins are far greater than they’d anticipated just one stupid mistakes could produce a lifetime of hell! Best-sellers in Urban Christian Suspense Series. “Rod of The Wicked” is definitely an enchanting Christian narrative. After the first Chapter of this book, without delay it only took a minute to get into reading “Rod of The Wicked”. This was an marvelous Christian book and it was very sensible. H.H. Fowler created the characters originate animate which will keep the readers wanting to read more. H.H Fowler seized abounding conformation of defrauding and incorporate powers that be into a web. The reader will read about the Characters in “Rod of The Wicked” who are guilty and Characters who are innocent. Although they are all related in one way or another. The web will birth to unravel at the Conclusions. The Characters are absolutely developed well. The Christians faith and malicious behavior are confrontation that they need to conquered. We as Christians are not perfect at all or the road is going to be easy. Anybody that tells you that are delusional. In the lifestyle of a Christian, we all have sinned and fell short of God’s Glory. 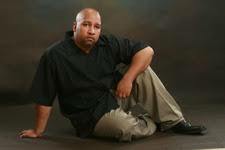 Like Donnie McClurkin mentioned in his song, We Fall Down and We Get Back Up. “Rod of The Wicked” reminds us that through the Characters. I am looking forward to see how this storyline is about to unfold. There are skeltons that all over the place from The pulpit to the pews in every direction. The crazy part is if you are a PK (Preacher Kid) then you may can relate through many of the situations presented in “Rod of The Wicked”. 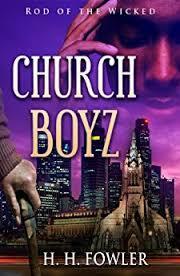 Now I am going to read the rest of the story in The Church Boyz Series. I read so many books by this anointed Author and never disappointed at all. The story through the Characters are entertaining but at the same time the readers are being minister to through the Characters. Doreen Lakatos is six feet in her grave, but there is a new sheriff in town. Mother Veronica Stephens, newly appointed Women’s Pastor of Brandon View International Church is a self righteous bigot who goes after the inheritance of the Lakatos men. She is Sharp, determined and willing to do anything to create the biggest scandal in Church history. Jasmine Benton Fowler, former love interest of both Lakatos brothers, is back in town for a joyous event. However something tragic happens, which forces Jasmine to stay in town longer than she is welcomed. Her stubbornness to leave, makes room for the devil to move in. In Church Gurlz 3 (The Aftermath), the message of forgiveness and hope rings loud and clear. If your father had killed your mother, or if your mother for thirty years had lied to you about who your real father is, would you be willing to forgive and forget? A test of true character is unraveled in a surprising twist. After reading the first two books in The Church Gurlz Series, I was curious to continue to read this narrative and wondering where this narrative could go. I was truly impressed and extremely surprised. The images in the description about Soul Ties through the relationship of Wynton and Jasmine was marvelous created by H.H. Fowler. The twist and turns in the life of Brian Lakatos kept me on my feet that I couldn’t put this book down. “The Aftermath”, the last book in The Church Gurlz Series was a great masterpiece to shows the readers about the power of forgiveness and how it can heals & mend relationship. H. H. Fowler also minister to the readers through the characters that oftentimes things are just not the way that things seen. The main ingredient in every success relationship in one word “TRUST”. 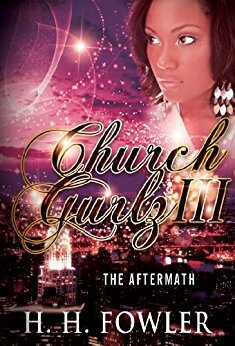 The entire Church Gurlz Series was genuinely compelling from the first two books “Mother’s Black Book”, “In the Presence of My Enemy” to this one “The Aftermath”. “The Aftermath” really focused on many issues that we all have to deals with while trying to live a Christian Lifestyles that pleasing to God. From lies, deceit, forgiveness, sexual transgressions, marriage that you need to managed to incorporate them all we witnessed through the characters. I will recommend this entire Church Gurlz Series to those who loves to read a Christian Suspense story that have a great message that we can learn from. Speak to your promise. Tell your victory that you will be there soon – – you’re on your way. Get out of your feelings and get into your thoughts that confirm no weapon formed against you will prosper. 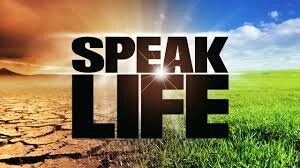 Don’t just speak it, reinforce it. Challenge every thought that tries to rise up against God’s will for your life. Rebuke every emotion that tries to dismiss your value, cancel your future and distract you from the fact that you don’t have to be well to keep walking. You can be in pieces and still be at peace when you step aside and let the enemy’s lies pass. The future you wants you to know that it had to happen the way that it happened for God to bless you where He’s taking you. Carry On! 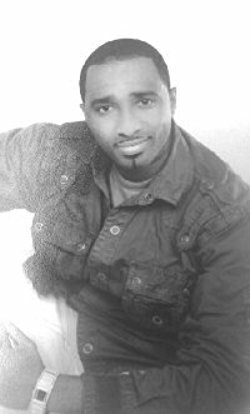 Ronnie C. Dawson is a Social Services Professional from Camden, NJ, who helps the disadvantages get a new start in life. He currently resides in Williamstown, New Jersey, where he lived for three years. His first project “Irreconcilable Difference” (Til Death Do Us Part) combines the possible with the impossible illustrating the effects of love, lies, and loss. After suffering a tragic loss, Mia Davis looks toward her future, to move on from a heartbreaking past. Will new life, love and laughter help her to find her way? Or will death, deceit,and disloyalty destroy her? Can she trust those closet to her? Can they trust her? It’s often said that, “whatever doesn’t kills is only makes us stronger”. This may be true individually, but is this true in relationships? Does ” No matter what” really mean just that? What an all-powerful and dynamic narrative about the Character, Mia who is a young woman that is a young woman that is grieving the death of her parents. Later on, Mia discover that her husband, Michael is convicted of the crime. At the same time, Mia is expecting with Michael’s child in which her responsive pain direct her toward making a choice of keeping or terminate the baby. 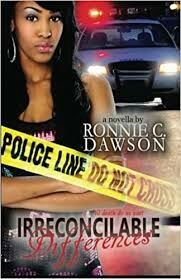 “Irreconcilable Difference” written by Ronnie C. Dawson is truly more of a straight forward story that is way particular than I usually read. All the same, it is definitely a page Turner. The narrative passage was fairly lively that I was driven to read the whole book in one day. I just couldn’t put the book down at all. That’s how great the story is. The best part about “Irreconcilable Difference” was well developed and a clean story that I can really enjoy. I even recommend this book to young teen readers. Ronnie did a marvelous tasks of providing twists and turns, created the narrative suspenseful. I was shocked on how the story ended with a cliff hanger. This will make a blockbuster movie. Now I am going to purchase and start to read “Irreconcilable Difference 2” because I want to continue get into this story. In this medical thriller, Paramedic Jim Stockbridge responds to an EMS call in the ghetto and finds his best friend brutally stabbed and shot. Consumed with rage he hunts down Side Drake’s killers and renders his own form of Justice . But soon Jim finds himself lost, tangling with a vicious street gang and it ruthless warlord, William “J Rock” Jackson. And so it begins along dark journey that pushes Jim deep into his own personal world of bitterness and revenge, and ultimately to the brink of disaster. Haunting nightmares ensure. Endless nights, A brutal biker gang nearly kills him. An angry detective wants him behind bars.And Jim’s girlfriend Dr. Valerie Vick , the only woman he’s ever truly loved, leaves him. Suddenly Jim’s entire world seems to be falling apart and J. Rock is out for blood with Jim is his prey. He sought revenge.. He found forgiveness was the strength he needed to deliver Jim’s version of street Justice. This is the second book I read by Pat Patterson. I first read “Paramedics Killers” and now I just finished reading “Tested By Fire”. I am really enjoying the Medic-7 Series so much. “Tested By Fire” written by Pat Patterson provided tremendous amount of action and some romance which things can suddenly change in your life. “Tested By Fire” will keep you going and encourage you to looking forward to read the next books in the Medic-7 Series. My advice to the readers to read this book first then proceeded to the next book in order to understand the Characters and the sacrifices they makes in their jobs as Paramedics. Jim irrational behavior caused gangs to comes after him along the way lost people around him and need to learn the lesson of life, don’t take life for granted. He hasn’t been the same by the reason of, experienced 9/11 first hand. Jim often finds himself depressed, popping pills, or trying to forget the memories by consuming alcohol. Jim’s bitterness risen when his best friend and fellow Paramedic, Sid is brutally killed by J-Rock and his street gang, while trying to preach the gospel on their turf. Jim concentrate on revenge but starts a war. Abruptly Jim’s entire world seems to be crumbling down. Jim stumbles on the brink of completely disaster. Perhaps only the God, Jim yelled at can saves him. Anything is possible. I would recommend this marvelous book to readers who loves to read a clean action story based on Christian principles. “Tested By Fire” provided an awesome Christian theme in the storyline that’s filled with plenty of actions. I found the Characters are tremendously believable. You can just draw an image in your head to how this can happening in our own residence. I really applaud Pat Patterson for providing Christian beliefs that will minister to readers like myself. I want to personally thank Pat Patterson for allowing God to anointed his hand to take the pen and start scribbled to created a marvelous Christian Book that have the scenery in Medical world of the Paramedics.